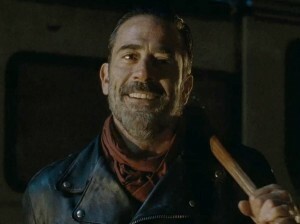 Fans of The Walking Dead have been anticipating Negan arrival for the show. The iconic villain has been widely popular from the comics. The foul-mouth, bat wielding, maniac yet charismatic leader of The Saviors has proven himself to be Rick’s greatest enemy in the comics and will soon be seen in full glory when The Walking Dead returns next month to AMC. Most fans who read the comic know we will be heading towards the “All Out War” arc of the graphic novel, so they seem to already know the motivations behind the character as well as the plot for the upcoming season. This might not be 100% entirely the case. Actor Jeffrey Dean Morgan recently spoke about the upcoming role and what he will be doing on the show. When asked about how often he’s thought about the role, the actor had this to say. This is good because getting the essence of the character right is essential to transferring him from page to screen. However, does this mean that he will be 100% taken from the comics? So it seems that the television version of Negan may differ a little bit from his comic book counterpart. This may help the character in a sense. For one, if everything’s straight from the comics, there’s no surprise for us fans. Having a little change here and there can also serve up some character development, as well as keep us on our toes. Morgan also comments on the fact that he doesn’t want Negan to end up as a “one-dimensional” villain. Of course, no interview is complete without everyone trying to find out who the unlucky victim is on the receiving end of his baseball bat. Ever since the season six cliffhanger, fans have been clamoring to find out who (something the producers have been able to keep a secret). Morgan says, be careful what you wish for. The Walking Dead returns to AMC October 23rd.